Forget New Year-New You! Why Re-Invent the Wheel? There’s Plenty Right With the Old You, Read on. . .
Every year, buoyed by the significance of the first day of a brand new year we set our New Year’s resolutions. Magazines and books scream out at us to re-invent ourselves with messages of New Year, New You. I say forget it! I’m not suggesting that we all do nothing. I’m a committed advocate of lifelong learning. We are always moving forward, whether we take control of it or not. I’m just asking the question ‘What’s so wrong with the old you that a bit of tinkering can’t put back on track?’ These messages to embrace total self-transformation embody the message that you’ve screwed up and it’s time to put it right. It’s bull! The New Year-New You (NYNY) philosophy won’t build confidence and esteem. In fact it may have the opposite effect. In this post I aim to tell you why it’s counterproductive to indulge the gurus that advocate total transformation. I’ll also suggest what you can do instead. There’s an old saying ‘don’t throw the baby out with the bath water’. It’s sound advice. The NYNY approach sometimes goes as far as telling us to throw out the bath too! Seeing as you are already here then you must be doing something right. That’s the approach I take in coaching. We stock take. The stock in question is your skills, strengths, values and how you got to this place. The Pareto Principle states that we 20% of our actions yield 80% of the results. Through coaching or just by self-reflection you can tap into your key 20% Lots of self-help books will ask you to make massive changes on the assumption that this is the only way you will get massive results. I maintain that the small changes create knock-on effects that yield significant results. Bigger is not alway better if it’s not what you really want! In coaching I use scaling questions. Simply, I ask you to rate your overall life satisfaction on a scale from one to ten. Where one equals very low satisfaction and ten equals total satisfaction. Before focusing on ‘what might be better’ we focus on how you’ve got to this point. So if you report a satisfaction of four, I would ask you ‘How have to got to a four? How did you do that? How come it’s a four and not a three, a two or a one?’ By exploring the question from this angle, we begin to tap into that all important 20% of what works for you. It’s about jogging your memory rather than negating your life experience. Usually coaching clients recall things (almost forgotten) that help to move them forward. It’s up to the coach to uncover these gems. Once we have established that, I ask you what you imagine things will be like, half a point along the scale, or even a quarter. The aim is to get you to thinking about small steps that you can make. I also ask what score will be good enough for you. Does it have to be a ten? For many people a 7 or 8 is good enough. After all, if it’s a ten then where is there left to go? Despite sports people claiming that they gave 110%, there is no such thing as11 out of ten! Once we have established what ‘good enough’ looks like, we can begin to set goals. These goals will include milestones or sub-goals to maintain motivation and boost confidence. Think of a goal as a journey. After all that’s where the idea of coaching came from. In transport, a coach gets you from A to B. A life coach gets you from A to where you want to Be. For any journey, preparation is key. Part of this involves taking stock of your skills, strengths, values and life experience. This is where New Year’s resolutions go wrong. It’s the preparation that maintains the motivation when the novelty and euphoria wear off. Begin by considering if you’ve tackled a similar goal before recall. How did it go? What went right? How long did it last? What were the stumbling blocks? It’s common for people to get discouraged if they falter. However that’s part of the process. Setting a goal is not about demonstrating you have iron will power. A great deal of the goal setting is working out how to match the process to your particular way of doing things. There is no ‘one-size-fits-all’ blueprint. You are the blueprint. It’s a matter of playing to your strengths and managing your shortcomings. If you try to force the ‘black-and-white, all-or-nothing, pass-fail’ approach then you learn nothing about yourself. By being more flexible and using the knowledge about yourself along the way, not only will you meet your goals, you will also boost your sense of self-efficacy in the world. Working as a life coach, although I have a range of standard (tried and tested) questions, tools and techniques, I do not practice an ‘off-the-peg’ approach. I work with you to co-create an action plan. It’s all about matching your needs and strengths to the goal. The reasons are simple: (i) it saves time and (ii) it builds self-assurance. The idea is that you should go away from coaching feeling empowered not dependent on the coach. Yes, the coach should offer you tools, techniques and an alternative way to view your world. However all of these should add to ‘your sense of you’, not take away from it. That’s why I shun the ‘New Year-New You approach’ popularized by lifestyle magazines and self-help gurus. It’s common in advertising to see products described as ‘New Improved’. This doesn’t make sense. Is it new or is it improved? Usually it means it is an improvement on an existing product. They didn’t start from scratch. They took all that was good about the existing product and tweaked it a little to make it better. That’s exactly the approach for lifelong learning. Forget ‘New You’, just improve on an existing classic! If you enjoyed this post, please use the ‘like’ and ‘share’ buttons below to let others know. 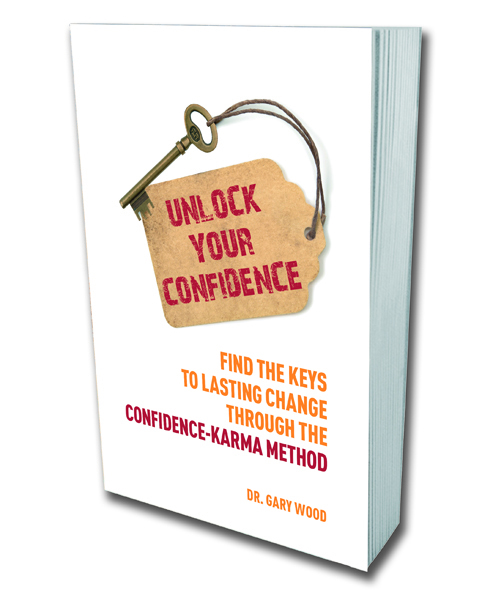 If you are looking for a complete personal development course, try my book: Unlock your Confidence or else just check out my Survival Kit for New Year’s Resolutions.